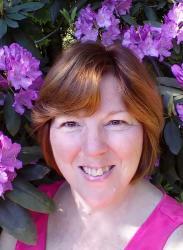 Having spent this past weekend celebrating my youngest daughter’s 19th birthday, (I know right? I don’t look THAT old! Ha!) I was feeling nostalgic and began thinking of birthday’s past for all my daughters. Most of them had a Disney theme…and MANY of them were actually celebrated at Walt Disney World. 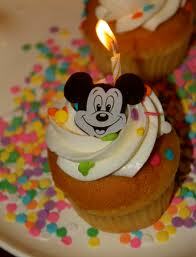 The only thing better than celebrating a birthday is celebrating a birthday at Walt Disney World! 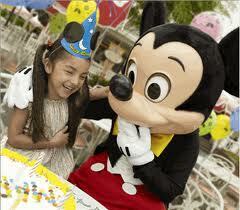 You can count on having a day full of surprises, fun and that Disney magic that we have all come to know and love. No matter who will be celebrating their big day, the Walt Disney Resort goes above and beyond to treat their guests celebrating events such as birthdays, like they are VIPs for the day! Be prepared for lots of recognition throughout the day, lots of surprises and lots of memories that will last a lifetime. Right from the start, when you book your resort or make dining reservations, let the cast members know whose birthday it will be and on what day it is on. By doing this, you may receive special recognition at your Walt Disney World resort with small gifts and coupons for the birthday, and some resorts even leave little surprises for the birthday celebrant in the guest room on the special day. Let the front desk know about the birthday and they can arrange a birthday wake-up call for the birthday boy or girl. 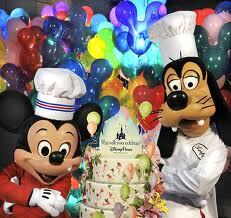 A call from Mickey or Goofy is a surefire way to get any birthday off to a great start! Then you can get your day jump-started with a character dining breakfast. Since it is your birthday, you might just get a little surprise while you enjoy your meal with your favorite Disney characters (be sure that even if you told them of the birthday while making your dining reservations that you remind them again when you arrive). When you head out for a day of park-hopping, make sure your first stop is to pick up a complimentary birthday button at your first park. You can pick this up at City Hall in the Magic Kingdom Park or at the Guest Relations booths at the three remaining parks. These buttons can be worn all day and will give the birthday boy or girl all sorts of recognition. (Buttons can also be picked up at these locations if you are celebrating an anniversary, or a honeymoon, or if you are a first-time visitor to Walt Disney World.) Be sure to wear this button proudly, especially if you are getting autographs from characters throughout the day. When you are collecting your signatures, be sure to show the characters your button or just let them know it is your birthday – you will receive many unique messages from all your beloved friends in the parks! And yet another unique piece of memorabilia you can take home with you on your child’s birthday can be found at Epcot. If you purchase a passport (or you can use your autograph book), alert the Cast Members at each Kidcot station around the World Showcase that it is your child’s birthday. Along with birthday messages from the characters, they will also take home birthday greetings in many different languages from people all across the world. 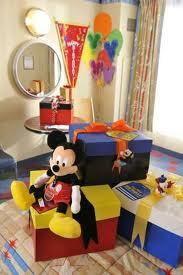 When you check into your Disney resort, your room can already be decked out in birthday style. There are ten different options to choose from, such as the Mickey and Pals Package which includes presents from Mickey and the gang as well as balloons, birthday banner, and autograph book. Or your child might prefer a princess or pirate theme. Disney Florist can hook you up with these or one of many other options for decorations or to simply have flowers delivered to the celebrant’s room. And, what’s a birthday without a birthday cake? A specialized cake can be delivered to any full-service restaurant throughout Walt Disney world and decorated with anything you can dream up. A cake in the shape of Mickey? A candied picture of Cinderella? Your wish is their command. Specialty cakes must be ordered 48 hours in advance. But, not to worry, if you’re not sure of your plans, a six-inch cake in either vanilla or chocolate can be ordered when you arrive at most Disney restaurants. For a smaller treat, that birthday button is often the key to a complimentary cupcake. You can also pre-arrange a birthday party at many of the Walt Disney World Resort hotels and other locations across property, including Disney’s Yacht and Beach Club Resorts, Disney’s BoardWalk Inn, Disney’s Polynesian Resort and Disney’s Winter Summerland Miniature Golf Course. And, you can take out a special birthday fireworks cruise from many of the resorts as well to see either the Magic Kingdom’s Wishes or Epcot’s Illuminations nighttime fireworks displays. There are many fun and creative things you can do to celebrate a birthday at Walt Disney World! And no matter how big or small your budget is, you can make your birthday boy or girl feel extra special with a touch of Disney magic!